There will be 16 Gold sponsorship packages available; 5 straight Gold and 11 exclusively sponsoring a unique aspect of the Congress. The benefits common to each Gold Package are shown below, with the exclusive elements pertaining to each specific package following afterwards. Logo included in all event collateral including Congress website sponsor section (with web link), brochure, flyers, etc. See all Gold Sponsor benefits in the table at the bottom of this page. Attendees will be given a delegate bag which they will carry throughout the event and many will also use afterwards. The sponsor will thus enjoy exposure of the company brand through the inclusion of their logo on the delegate bags. 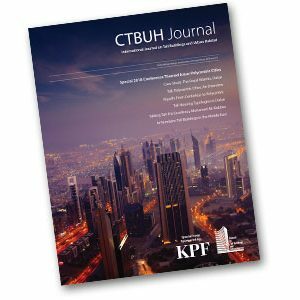 Attendees will be given a copy of the special issue of the CTBUH Journal, themed on the Congress and distributed internationally to all CTBUH members. As sole sponsor of the issue, the sponsor’s logo will be on the cover and contain a relevant paper within. There will be two lunch sponsorship opportunities during the Congress. Each lunch sponsor will enjoy exclusive branding of one lunch through signage on buffet tables, high-top tables and through the relevant chair announcements immediately before the lunch. A Congress name badge will be worn by every attendee, with the lanyard occupying a prominent visible position. 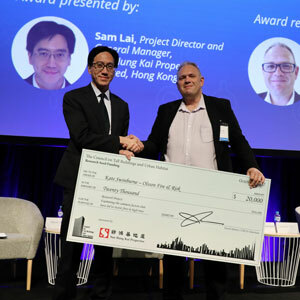 The sponsor will enjoy a high degree of brand visibility by the inclusion of their logo on the lanyard, alongside the CTBUH logo. 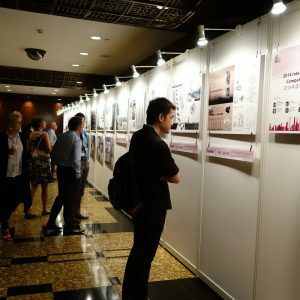 An international “call for research submissions” will be made, with one project awarded seed funding of US$20,000, which will be announced, by the sponsor, during the Congress. The sponsor will be recognized as the supporter of this initiative, and in connection with the research project itself. 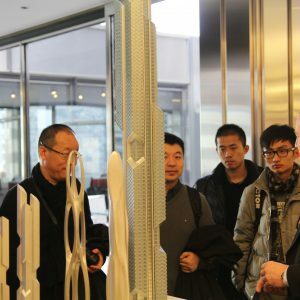 The best projects will be displayed and the final judging will occur at the conference for the CTBUH’s annual international student competition. The sponsor will receive recognition for support of this initiative, with funds supporting US$20,000 of prize money and travel stipends for finalists to attend/present. Students focus on a relevant research question and create an engaging “output” as a response. Funding will be awarded to a single student group for research and creating the output. The sponsor will be recognized as the sole supporter of this initiative internationally, receiving recognition both at the Conference itself and in connection with the research project afterwards. 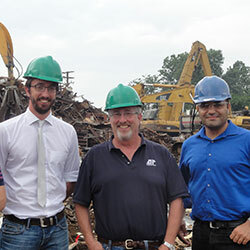 Students travel to study the sponsor’s site/project upon which the design research is based. The sponsor will receive recognition for support of this initiative – including input on the research subject – with US$20,000 of sponsor funds supporting travel and studio expenses. All attendees will be given a USB drive containing all abstracts and presentations delivered at the Congress, and will carry it throughout the event and continue to use it as a normal USB drive long after. The sponsor will have its logo printed on one side, and company information on the drive. All VIPs at the Congress will have access to the VIP Lounge, which is an exclusive room for high-level networking and other business transactions. The sponsor will be recognized as the sole sponsor of the VIP Lounge, with their branding and materials contained within the space.